The view outside Winnipeg windows these last few weeks has been anything but spring-like. Winter has lasted a month longer than usual. Usually by March, we begin to welcome the blossoming of color but instead, falling temperatures and even snowfall was the norm. News reports said that depression had increased as we more than earned our nickname of “Winterpeg”. Part of my wake-up routine includes a bit of yoga stretching. The window overlooks our garage and every morning I watched the progress of snow melting on the roof. It seemed almost imperceptible at first, but it was hard to deny that the longer hours of sunlight were having an effect, despite the cool temperatures. Not only that, but more and more of the yard began to show through. 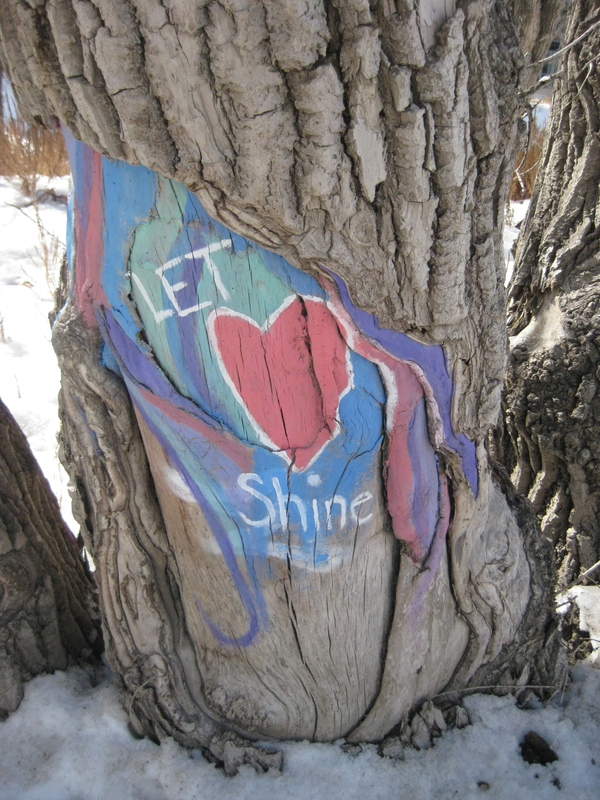 Spirits tired of winter gravitate toward these signs of spring, small as they are. Lately, I’ve begun to muse on the deeper signs of hope that we reach for when consolation feels far from our hearts. During these last few weeks, when headaches have seemed relentless and I felt mired in the “slough of despond”, as John Bunyan wrote in Pilgrim’s Progress, it occurred to me so look instead for signs of God’s presence. Here’s a few places that have kept me going in tough times. 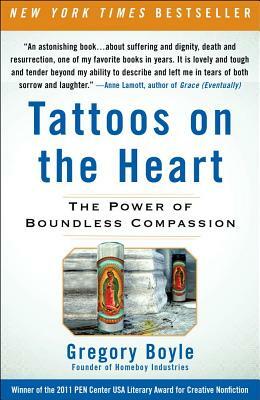 I have begun reading a book called Tattoos on the Heart: The Power of Boundless Compassion, by Gregory Boyle. Boyle is an American Jesuit priest who has worked with gang members for over 20 years. His book is filled with stories of people at the bottom, who find their lives stitched back together by the power of love. The stories have had the power to turn my inner eye away from whatever problems I’ve been grappling with, reminding me of the bigger picture. Sometimes our education in the “university of hard knocks” makes us imagine that God is out to get us. 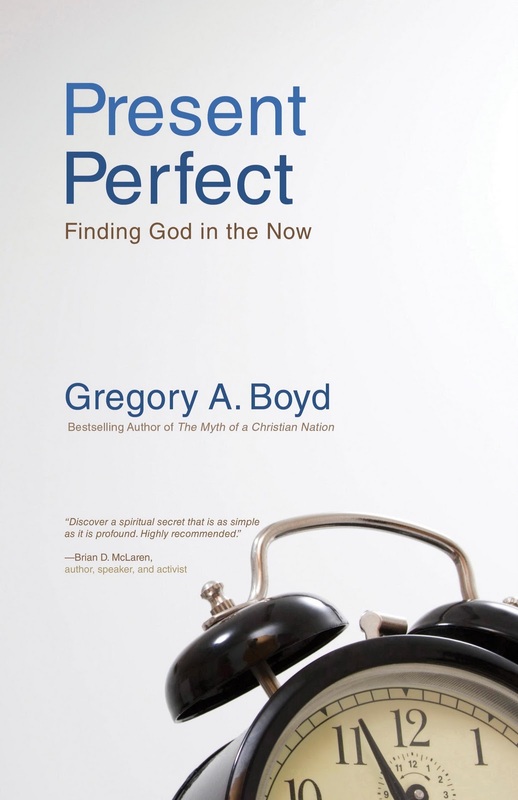 In one of my favorite quotes, Boyle reminds us that it’s “not the ‘one false move’ God but the ‘no matter whatness’ of God” that we can hope in. No matter what or where we find ourselves, God has our back and is working overtime to restore us to love and hope. Mostly, his stories have been melting my heart. They remind me of what our pastor calls the “basement of grace”; of the God who “looks beyond our fault and sees our need,” an old black spiritual that Boyle refers to. My students in Winnipeg’s inner city have so many needs and many days I am left exhausted. If I’m not careful, I can start to think I’m doing it all wrong just because it’s hard. It’s enough to get my heart a bit calloused, but I’ve been reminded that God meets us where we are, often in the basement, and tells us we are infinitely loved. His poetic writing has been inspiring me. Someday I hope to write that well. This weekend, spring has finally begun to arrive fully. 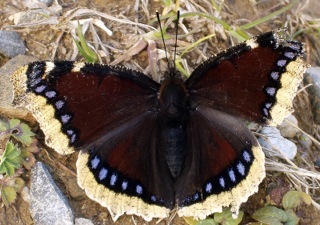 I spotted a mourning cloak butterfly yesterday, encouraged out of its winter frozen state by the warmth. This morning, I’ve noticed the migration of junco birds in my yard. What has been hidden is now becoming plain to see. My prayer is that in hard or easy times, in desolation or consolation, we may all practice seeing what is always there, no matter the weather. May we all look for the “no matter whatness” of God. Lately, the church is in the season of Easter with that strange word, “Resurrection”. In our post-Christian world, many people must view it as antiquated and irrelevant. People don’t rise from the dead! An interesting story, like Santa Claus, but…what does it have to do with my world? This week, we in our house church are scanning our weeks for “resurrection stories”, in preparation for Sunday’s meeting. Growing up in a Christian faith, I believed in the resurrection of Jesus without question. After all, the pictures were right there in my illustrated Bible! It’s quite something else to embrace this word, and reality, as an adult. 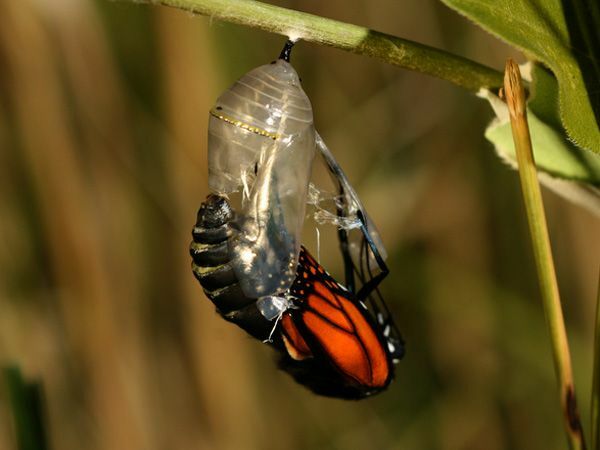 As Scott Peck famously said, “Life is difficult,” and to really believe that there is hope beyond our difficulties is not always that easy. For the first disciples, the thought of Jesus coming back to life was inconceivable. In fact, the earliest accounts of their discovery of the empty grave make it clear that they were terrified and shocked. In my adult life, I have often given lip service to believing in Jesus’ resurrection, but have lived as a practical atheist, stuck in a quagmire of doubt and darkness. It is only in recent years that I have truly begun to believe again. Instead of talking about theory and research (which I’m lousy at anyways), I’ll do what makes the most sense to me – tell a story. Every Saturday morning, I go for my outside run. Since September, I have taken the same route. 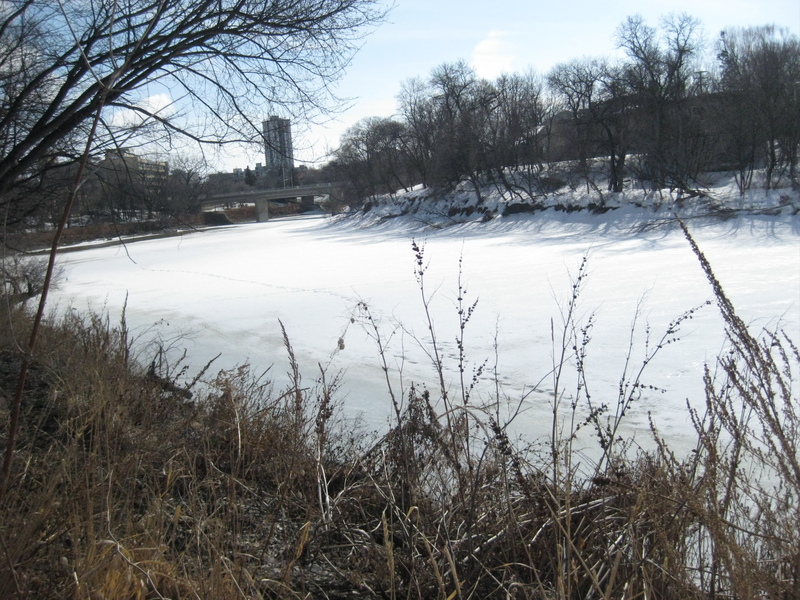 I run all the way to the Assiniboine River and then along the river to the Forks and back. It’s a lovely run and when the skating trail was open, I got to run on the river itself, enjoying the unique snow huts and all the people taking in this Winnipeg treasure. 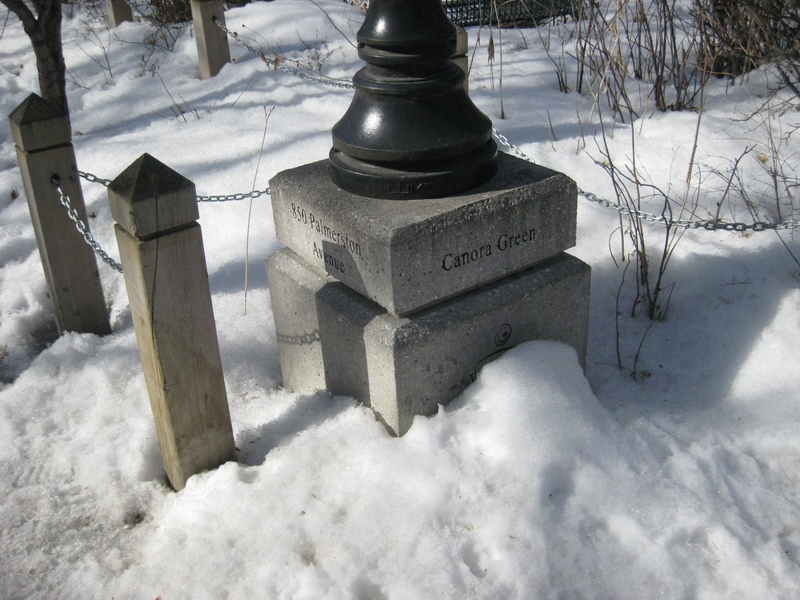 There is a tiny park along the way called the “Canora Green”, leading to the river. One time I stopped there to catch my breath and said a few prayers. Prayer doesn’t always “feel” real, but that time it did. I had a sudden sense of God being there with me in the quiet morning air. Ever since then, I have made it a habit to pray for a few minutes as I look out on the river. No matter what the week has been like, difficult or easy, I find myself thanking God for being with me in all the ups and downs. Gifts of encouragement, friends who pray for and with me and who point me to hope when I don’t see any. Gifts that come in the form of books, faith engendering music, prayer that restores faith, laughter despite myself. The biggest gift is that I keep finding answers to the question of this blog! Mostly I give thanks again and again that God saw me through situations that I couldn’t figure out myself. Our dear friend Paul always ends his emails with the signature “Under a ton of mercy”, and this is what I mean. God knows me infinitely better than I know myself, and has always found a way to rescue this gal who gets lost on a regular basis! That’s what I call mercy. I always end up saying some prayers for those I know who are suffering, either from cancer or other illness or who have personal problems that seem too large. Lately, I have begun to imagine this stop during the week when I am going through challenges. “God, I know somehow I will be back at the river thanking you on Saturday, so help me believe in your resurrecting power.” A tiny shift in attention, maybe, but it changes everything. Churches have a tradition on Easter morning of a call and answer. The minister calls out, “Christ is risen,” and everyone answers, “Christ is risen indeed.” I can trust that the “indeed” can continue to happen. The scripture says that God’s mercies are “new every morning”. I experience this as a trustable gift given to me over and over despite my own failings and mistakes, from a good parent who keeps giving good things even to this wayward child. Risen indeed. This week, a very clear story of the effectiveness of prayer happened. The theme in my prayer guide was prayer and I definitely needed the reminders. It was the first week back after a break, and I found I was a bit cranky and resentful of giving up those lazy, free days. Of course, this led to some cloudy emotions which brought me back to my morning prayers. As the song says, I was “sending out an SOS”. I usually spend some time praying for others, but the airwaves were almost all personal requests. “God, give me stamina. Forgive my reluctance. Give me strength for the day. Help me be patient with the kids and to share Your hope with them, not my resentment.” These prayers are always murmured in the quiet morning darkness. My brain felt all rumpled up and I didn’t know what else to do but pray. I found that every day after these prayers, I was surprised by the strength that came up. No day was perfect, but the blessings became obvious. It wasn’t until Thursday, however, that the clear story happened. The day before, I had done a lesson with the students on adjectives. They had a list of adjectives before them, and were to pick the ones that described themselves. Then came part 2. We passed our papers around and wrote adjectives describing each other. These adjectives will be used next week in an art lesson. I kicked myself later for not warning them that negative adjectives were not allowed. It didn’t even dawn on me, and of course it happened. Amid the many, many positive words were the few hurtful ones. Gay. You stink. Ugly. Weird. Stupid. I should have predicted it, and my heart sank. My immediate response was to get everyone to sit down. I explained what happened, talked about mistakes, and said that honesty was important, as was fixing our mistakes. I encouraged whoever had written the words to stay behind. The students went out for recess and two students did stay behind and erase the offensive words. But there were still 3 papers left with offensive words. I decided to leave it for the day and I had a heavy heart as the students left for home. How would I handle this in the morning? The only option I could think felt so archaic, to take recess away for everyone unless the guilty parties owned up to it. But it didn’t feel right. “No way!” said Lyle at supper when I explained my dilemma. “I hated that unfair discipline when I was in grade 6 and 7.” So I felt stuck. I didn’t want to punish everyone, but it didn’t seem fair to those with the offensive words on their papers to suffer injustice. A story book that I recently read to my students had some good advice which came back to me. “Don’t try and solve your problems now. The morning is wiser than the evening.” And so I went to bed, resolved to pray about it in the morning. And so I prayed for God’s wisdom to know how to respond to my students. I waited in prayer but didn’t seem to hear anything. Getting ready for work, I flipped the radio on and heard the story of someone in Winnipeg this week who had received homophobic slurs painted on his house. Manitoba has some new anti-bullying legislation called Bill 18, and it has provoked a lot of conversation in recent weeks about gay rights. Unfortunately, someone received the dark side of this conversation and had his house spray painted. What was so encouraging was how the community rallied around him. People came out and painted over the slurs. And that’s how God answered my prayer! With a lightened heart, I began the day with my students by talking about what happened again. I thanked those who had fixed their mistake and said how sadly, there were still 4 papers with bad words. Inspired directly by the repainted house, I asked who would like to stay in for recess to recopy these 4 papers, minus the bad words. Everyone’s hands shot up in the air and voila, we had a win/win situation. 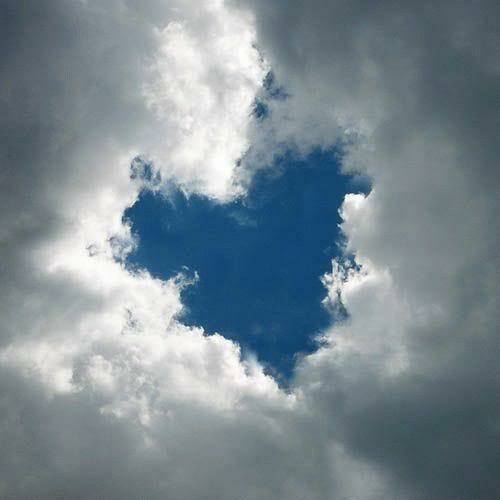 It seemed that I wasn’t the only one with a light heart all day. Everyone was in good spirits. I thought of the movie, “Do the Right Thing”, and how just one good decision can change everything. In the words of yet another movie (The Kite Runner), we all had the chance to be good again. That’s what grace is all about. Some who are cynical of prayer might say that solution would have come to me anyways, but I don’t agree. One of the mercies of prayer is that it keeps the eyes of the heart open. Just how will God answer? I have seen too many answers to think prayer has no effect. I see how prayer changes hearts and lives – dark, despairing thoughts are replaced with hope and fears and resentments are replaced by energy and love. In the words of the old hymn, “I was blind but now I see.” True, it is a daily occurrence for blindness to return, but I have always seen blindness be trumped by vision regained. There are some adjectives that describe me which are true only some of the time – patient, empathic, creative, kind – but the adjective that describes me all of the time? Blessed.